Save space on your desktop with this new generation, high resolution, on-demand thermal transfer printer. 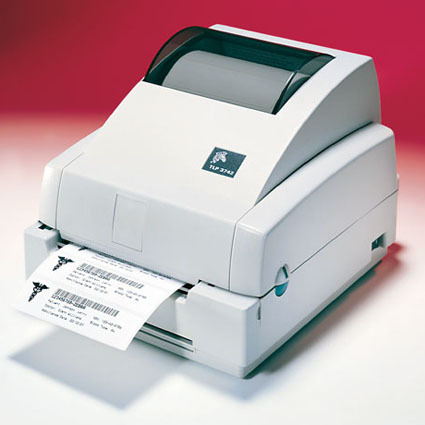 The Eltron TLP3742 print labels and tags with text, graphics and a wide range of bar codes. Designed for a wide variety of business applications, these reliable, low maintenance printers feature permanent downloading of label and tag formats, soft fonts and graphics. You get faster throughput when and where you need it.